Joy Window Tinting Home and Office Window Tinting. Heat rejection. Glare control. UV Protection. Privacy. We provide a complete service from the initial measure and quote that is absolutely free and does not obligate you in any way, right through to the installation. We are very careful to give you a professional solution based on listening to your particular needs.We cover all areas 100-150 km around Perth.Public Liability Insured up to 10 million We offered our valued services to * Crown Casino Perth * Good start Early Learning Centers * Buggles Child Care Centers * Mathiou Services * Rehoboth Christian College * Grand Hotel Group * FMG Building Perth * Jelly Bean Child Care * Anytime Fitness centers. and more than 3000 customers all around Perth. The main Benefits of window tinting * Tinting minimizes heat and AC loss through windows, thus increasing energy savings. * It protects carpets, drapes and furniture from fading. * Tint cuts back on the sun’s damaging UV rays by over 99%. * The tint makes windows safer, preventing injury and damage from broken glass. * It reduces glare that can be annoying. * Privacy * Tinting can be Decorative also. Nu-Look Windows are a Western Australian owned and operated aluminium window and door manufacturer. We are a third generation family owned aluminium window and door business that have been trading at the same Myaree location since 1965. We pride ourselves on high quality customer service that accompanies our high quality products. Bespoke contemporary art glass & traditional stained glass artists & artisans. Tradition Stained Glass's impeccable standard for unsurpassed quality, artistry, and craftsmanship is blended into every project. Artists and Artisans in glass. Because Tradition Stained Glass is steeped in heritage, you can select from very diverse and distinctive leaded, faceted, hand painted, or sculptured gold windows that are unsurpassed. Our broad and deep expertise, resources, and commitment will help you tell the story that you want others to see and feel. 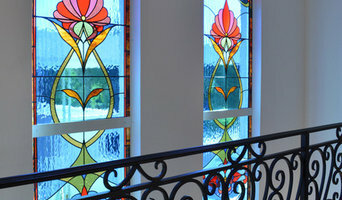 Each year, we work with countless businesses, churches, governmental bodies, institutions, and individuals to design and create beautiful new glass Leadlights or to repair, restore, and protect their existing treasures. We manufacture for a worldwide customer base, delivery is no issue. Look forward to all your enquiries, Kim Fitzpatrick “Appointments are required to visit us, contact us today"
Nuspec Windows is an Australian owned and operated company. Our sister company in Canning Vale has over 10 years of experience supplying fly screens and security screens to Western Australian builders and the general public.We acknowledged the feedback from clients that there is a demand for a premium quality product to meet the ever growing standards of housing. NUSPEC Windows was established to meet this demand. We provide friendly service and listen to what the clients require. We are willing to take the extra step to ensure the end product is what the client needs. Our windows and doors can be customised to meet a range of wind loads and ratings for inner suburbs up to cyclonic regions. We range from single glazed, Low-E, and even double glazed products depending on the client’s requirements. Additionally if required we are able to make our products meet BAL40 bushfire requirements. Clearview Concepts is a Double glazing installation company that offers quality European products for doors and windows, as well as locally supplied balustrading, pool fencing and staircase products. We are a privately owned wholly Western Australian company. The business structure involves the Hodgetts and Cook Families. Tony Hodgetts (Managing Director) and Nick Cook (General Manager) manage all aspects of Climateframe. We have a state of the art manufacturing facility and use only world class profile and materials. Having control of the manufacturing process allows us to offer our customers a TWO WEEK delivery on frames from date of order. We have a highly experienced team and offer top quality products and service, always at a competitive price. Why Choose uPVC: In this modern age of prioritizing environmental efficiency Climateframe’s double glazed windows and doors add significant value. Installing Climateframe uPVC products throughout the home not only helps the environment it also reduces energy consumption and therefore cost. Significantly increasing the thermal efficiency of external windows and doors will reduce both cooling and heating cost in summer and winter respectively. Welcome to Rayban Window Tinting At Rayban Window Tinting, we specialise in supplying the highest quality window tinting to residences, businesses and industrial facilities in Perth. But in reality, those are just our products. What we really offer our customers are solutions that protect and preserve your interior, whilst helping everyone feel more comfortable in the process. This is our top priority. Based in Cannington, Western Australia, Rayban Window Tinting is a family owned and operated business. We opened our doors in 1975 and have provided Perth and the surrounding area with window-tinting solutions for more than 40 years. We’ve grown and developed over those four decades, and we now offer a vast range of durable and long-lasting films for a variety of applications: Privacy window tinting Safety and security window tinting Decorative window tinting Solar protection window tinting We take pride in the work we have completed for the local community. Whatever your window tinting needs, Rayban Window Tinting can assist. Browse the services listed on our website, and feel free to call us on 08 9350 5199 if you have any questions. 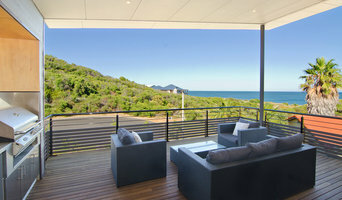 Aluminium Innovations is a supplier of AWS Window & Door systems in Western Australia. We offer a whole range of architectural window and door systems within the Vantage and Elevate range. We are a supplier of the AWS window and door systems. 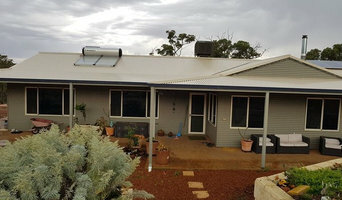 Please visit <a rel="nofollow" target="_blank" href="http://www.aluminiuminnovations.com.au/fabricators/fabricator-listing">http://www.aluminiuminnovations.com.au/fabricators/fabricator-listing</a> to see our list of licensed fabricators in the WA region. DGA are market leaders in single, double and triple glazing aluminium windows and doors with a reputation for innovation and flexible service. A family owned business based in Perth, Western Australia, DGA has been operating since 1972, with the current owners acquiring the business in 2002. DGA’s owners have steadily grown the company to its current strong position in the industry. DGA offers a 10 year ‘Peace Of Mind’ warranty on our aluminium windows and doors. Ask us for a copy of our terms & conditions. Success Glass services all suburbs in the Perth metropolitan area. Our highly qualified glaziers are experienced in all areas of residential and commercial glazing, including insurance work. Whether you need a window replaced, a new shower screen installed or a shopfront repaired, we'll complete the job promptly and professionally. Our 24/7 glass emergency service also means you can rely on us to replace broken glass at any hour of the day. Our rates are extremely competitive and we are happy to visit your premises to provide a free measure and quote. We use only high grade products which meet or exceed Australian Industry standards and all our work is backed by our Lifetime Guarantee. Quality design, production, and exceptional installation and service - all at a very affordable price, is what stands us apart. G2′s double glazed aluminium windows and doors with thermal break are designed and built specifically for the Western Australian environment and way of life. G2 was created to meet the need for a superior energy efficient window and door system, at the best price - without sacrificing quality, strength or style. Our architecturally-styled designer windows & doors boast exceptional acoustic and thermal qualities, plus are high performers in strength, weather resistance and air tightness. A huge range of styles, in an array of configurations and colours, make G2 the perfect choice for your next project. Products in the G2 collection range from fixed windows and awning windows, to sliding, stacking and bi-folding windows and doors, flyscreens and more. Clean, bold edges provide a contemporary look suited to the modern Australian home and current commercial settings. G2′s revolutionary aluminium sub-frame system puts an end to costly repair and replacement of windows and doors due to damage during the building process. All designed, manufactured and installed by a WA builder for WA builders. Our double glazed windows and doors can match single glazed commercial pricing - why not get us to quote your next project to compare? Window specialists can recommend the most suitable type of window for your home, whether louvre, leadlight or sash, and will advise on the best positioning for style, function and energy efficiency. They can also survey existing windows for rot, improper sealing, worn hinges, and foggy double-pane glass, and will tell you whether or not a window replacement or upgrade will be necessary. The professionals in this category are also knowledgeable in sliding doors, bifold doors, French doors and other paned portals. 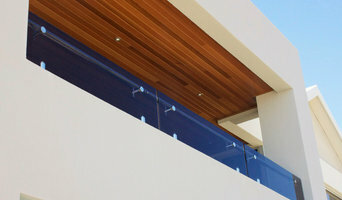 Your window specialist may also work closely with Perth, Western Australia builders and architects. Here are some related professionals and vendors to complement the work of windows: Shutters, Blinds & Curtains, Building Project Managers, Home Builders, Specialty Contractors, Cladding & Exteriors. Find a window professional on Houzz. 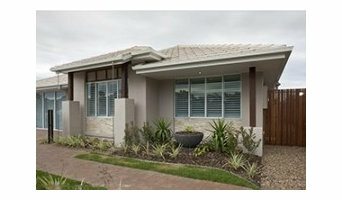 Narrow your search in the Professionals section of the website to Perth, Western Australia Windows. You can also look through Photos to find examples of windows you like, then contact the professional who is responsible for them.